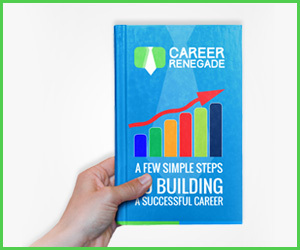 I’m proud to say that CareerRenegade.com’s readership and viewership is growing constantly since its inception. As part of the current strategy, I am aiming to increase the quality of my on-line presence and invite all authors to contribute a blog post on the website. If you are up to the challenge, contact me using the form below. Anyone can submit a post to my blog as long as the articles are fairly well written, and adhere to my guidelines, which you will find below. Let me remind you that blogging is not for everyone, so do not hesitate to submit to me even if you do not have your own blog. If you do, then that’s great and I will link back to you from here. Please take note that “fairly well written” means that you have properly checked your grammar and spelling before sending it to me. Please note that your stories or articles are not limited only to career. Employment, personality development and corporate trainings also fall under my scope. Some topics or subjects may be extremely broad so you pretty much have free-reign. If you are unsure, just drop me a quick mail and I will let you know if it fits. So, if you are looking for opportunities to grow your readership and build fresh links to your site, here is an opportunity to add to your to-do list. The number of articles you write in a month depend solely on you and I am here to help if necessary. I will also post the articles on my social media pages for further exposure. Please type your post in Word and save as a .doc file. It should be consisted of short paragraphs, bullet points and sub-headers. Posts must be optimized with a relevant primary keyword and 2 to 3 secondary keywords. Make sure to send more images, videos, infographics and/or quotations along with your text. Please provide high-quality images for each paragraph (800 px or larger) corresponding to your text. If your article is a photoessay, then you need to include 10-20 high-quality images. I reserve the right to insert links in your text to other posts, tags or categories seen on com. You are allowed to add one backlink to your blog. I do not accept articles from freelancers that have included paid links (or I will treat them as sponsored posts hence demand payment). For sponsored content, contact me using the form below. Articles may be edited before published on my website, but I will get your final approval. Clarity – For the same reasons as above, make your content concise and clear. Avoid very long sentences, and paragraphs should also be kept short. Accessibility – You can give people a way to contact you. Please include a short statement about yourself at the end of your blog, with a link to your website or social media accounts. Structure – Unlike other literary pieces, a blog post can start with a statement or decision then have an explanation later. Get to the point straight away and then back up your argument. It will get people interested in what you have to say – you have to grab their attention quickly. Tone – Blog posts are often read quite quickly and at a time when the reader is multitasking (for example on the commute to work, or whilst eating lunch at their desk). As such you want to try to use a conversationalist tone – type your posts as you would say them out loud. If you’re worried about how long your post should be, the golden rule is less is more. Title – This is often the last thing you think about, but the most important part of your blog post. Try to keep it under 10 words long, and make it engaging, either by posing a question or making a statement. I’m Jack O'Connell, a career advice expert, and I welcome you on my website. 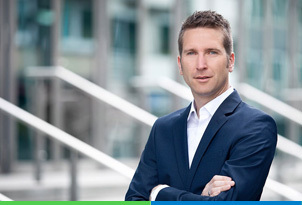 Having a vast experience in working with people and finding the right employees for big companies, I know how to sell your skills for the best price.If you are a talented specialist, you deserve to be paid accordingly. Contact me and I’ll help you get what you deserve. Passion versus Pay. Which one would you go for? Always remember, other people also possess the skills that you have. So be the best. If you've landed on your dream job, then lucky you! I know that the best way to land the right job is to qualify yourself. Career Renegade Copyright © 2019.